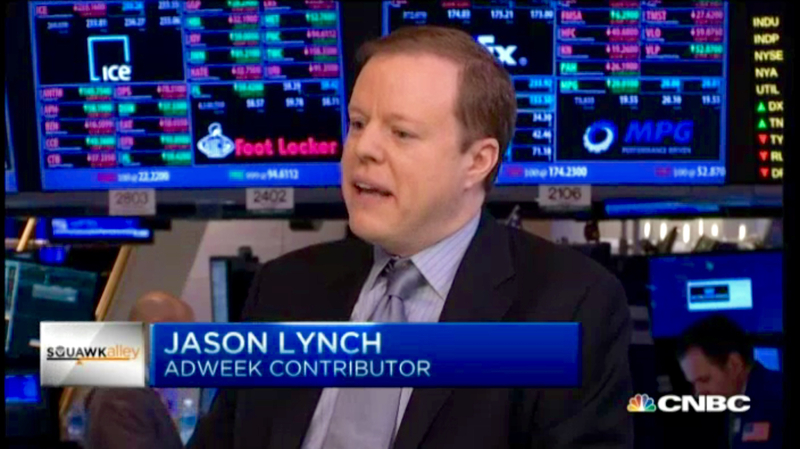 This entry was posted in Media Appearances, Squawk Alley on July 31, 2015 by Jason Lynch. 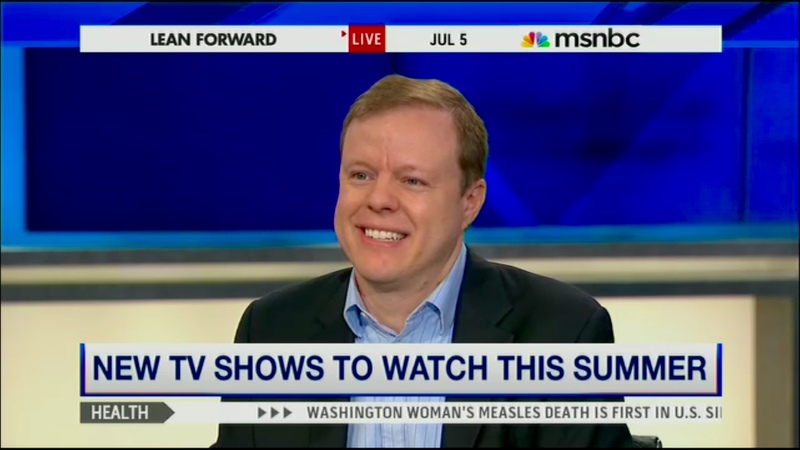 I appeared on MSNBC Live today (while the segment was produced by the Melissa Harris-Perry team and was in that show’s usual timeslot, it wasn’t actually considered a Melissa Harris-Perry broadcast because of the holiday weekend), talking about the best summer TV shows that too many of you aren’t watching. I talked about four of the shows I’ve been writing about, and raving about, all summer: Amazon’s Catastrophe, Lifetime’s UnReal, Comedy Central’s Another Period and USA’s Mr. Robot. I think Catastrophe star Rob Delaney really liked what I had to say about his show! MSNBC didn’t post the segment online, but I uploaded the clip here (I know the audio quality isn’t the best; my apologies). Long story short: you should start watching all four of those shows, immediately! This entry was posted in Media Appearances, Melissa Harris-Perry and tagged Another Period, Catastrophe, Mr. Robot, UnREAL on July 5, 2015 by Jason Lynch. 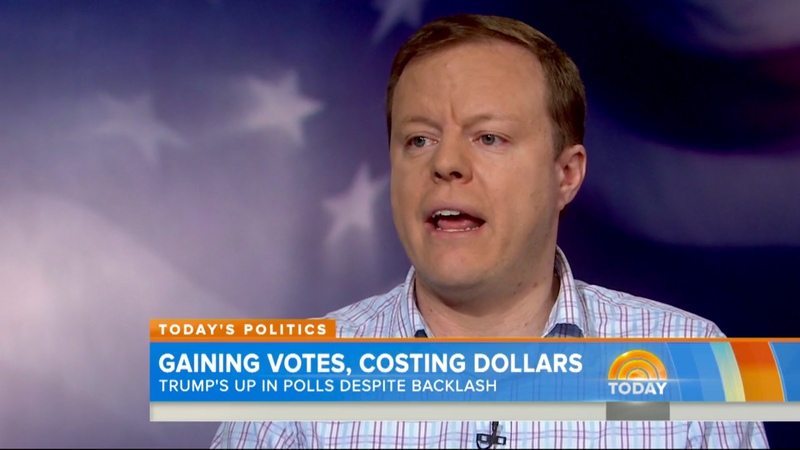 So it turns out that in addition to making my NBC Nightly News debut last week, I also—surprise!—appeared for the first time on Today, during a Donald Trump piece the show did Friday morning. 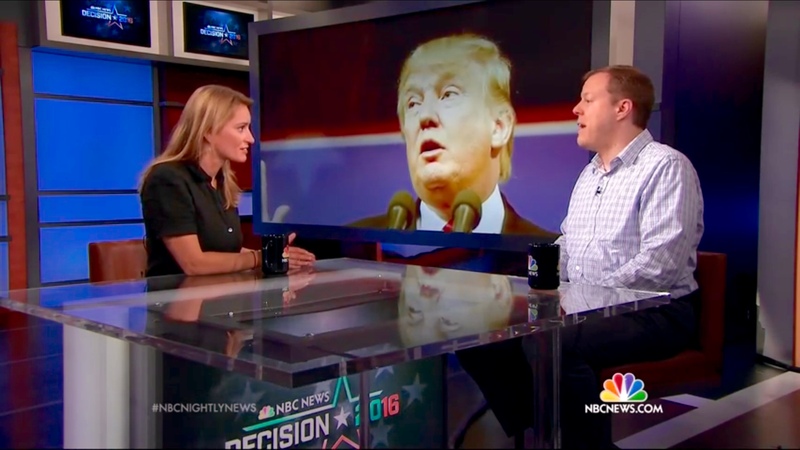 Katy Tur filed a new Trump story for the show, and used a different portion of the interview I’d done with her for that Nightly News story. 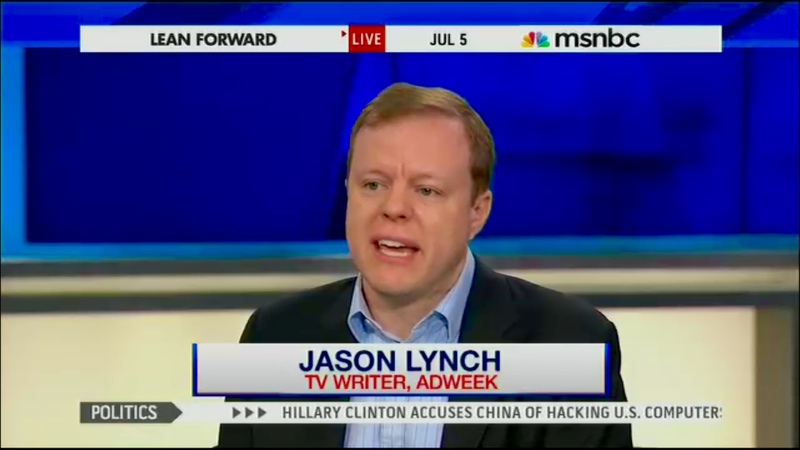 This entry was posted in Media Appearances, Today and tagged Donald Trump on July 4, 2015 by Jason Lynch. 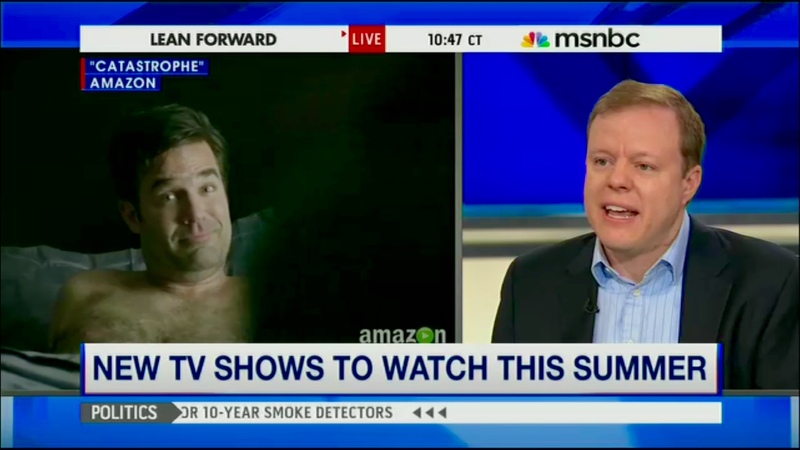 While I’ve been on MSNBC and CNBC several times, I’d never made a media appearance on NBC proper—until today. 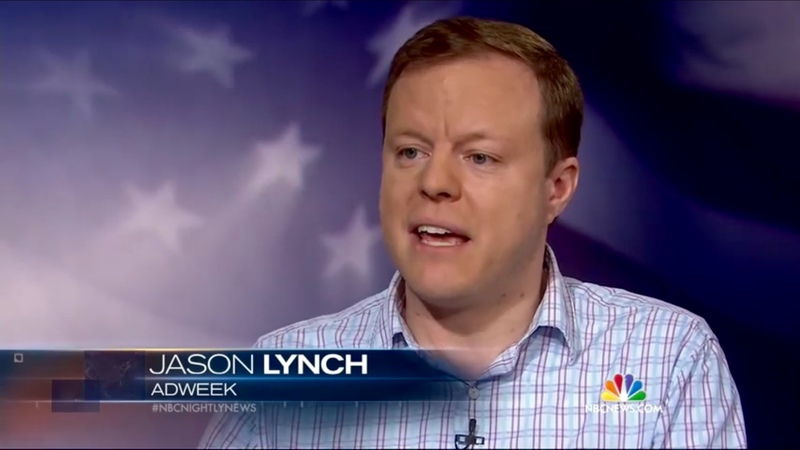 I was interviewed on NBC Nightly News tonight for a segment about the Donald Trump’s latest antics and the fallout from Macy’s, NBC and Univision severing ties with him. 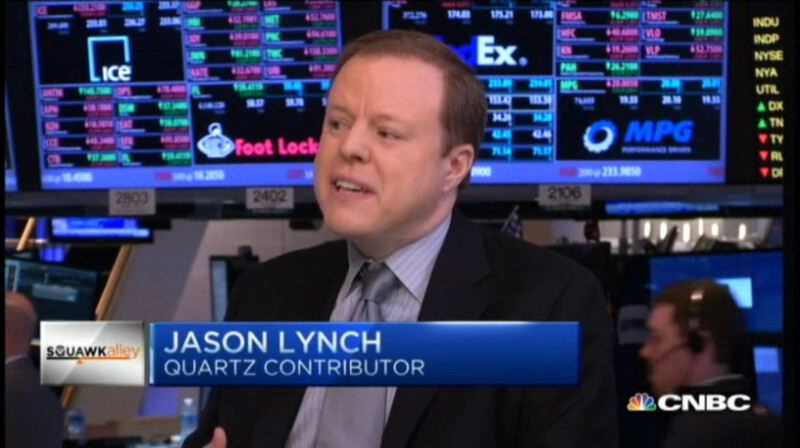 It looks like I’ll be back at 30 Rock on Sunday for another TV appearance; more on that later in the week! 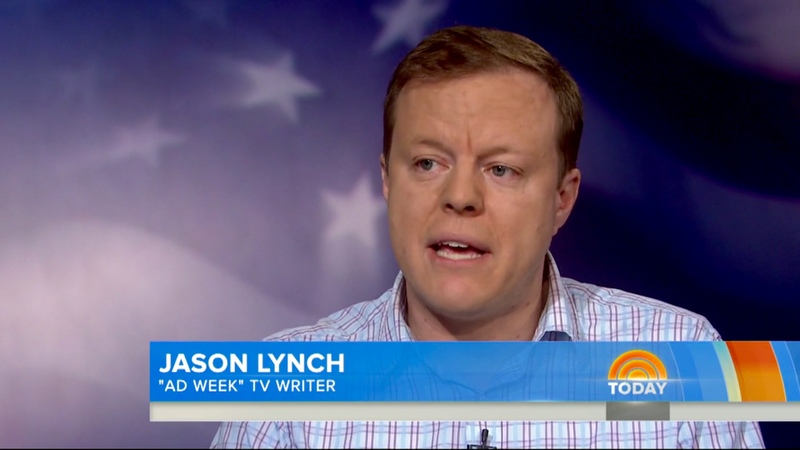 This entry was posted in Media Appearances, NBC Nightly News and tagged Donald Trump on July 1, 2015 by Jason Lynch. The best part was finally doing a Squawk Alley appearance seated next to my Twitter pal Carl Quintanilla, the show’s regular anchor. 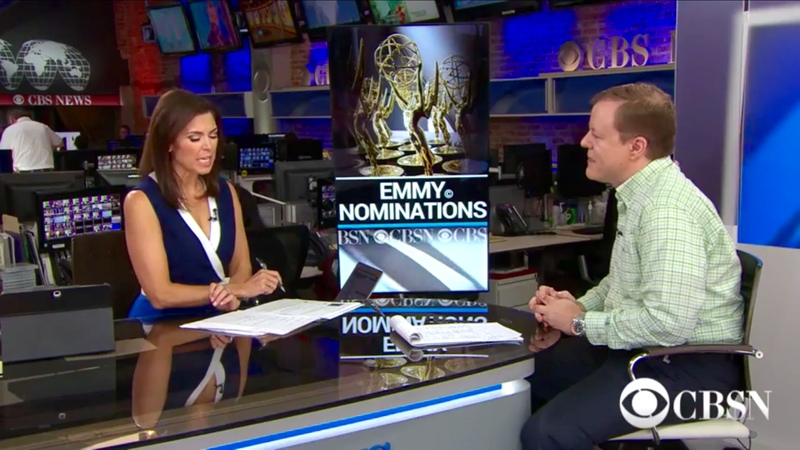 Between my remote segments and his absences during my previous visits to the show’s New York Stock Exchange studio, our meeting up on-camera was long overdue! This entry was posted in Media Appearances, Squawk Alley and tagged Amazon, Catastrophe, True Detective on June 24, 2015 by Jason Lynch. 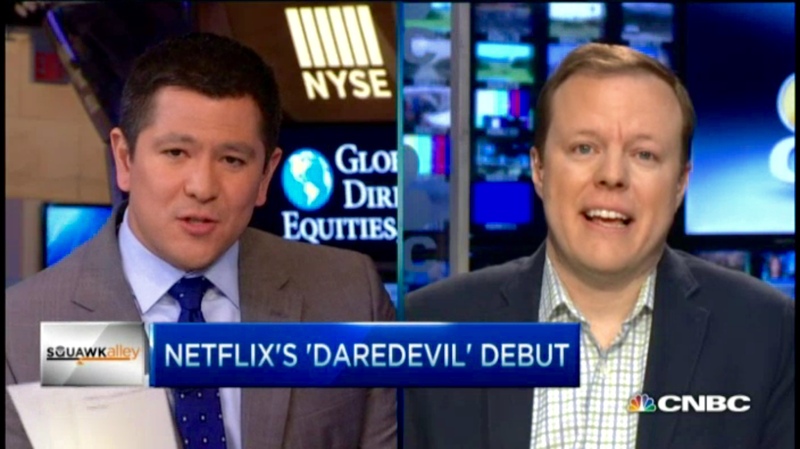 I returned to Squawk Alley this morning, to discuss today’s debut of Marvel’s Daredevil, and my Quartz story about how terrific Marvel and Netflix’s first collaboration is. 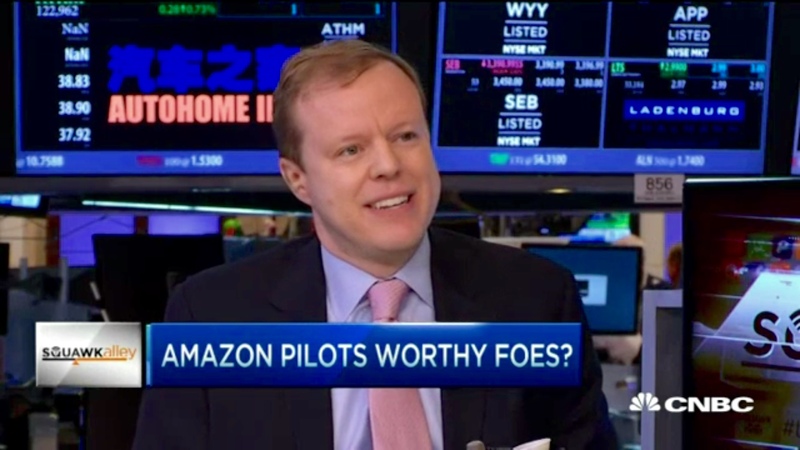 Here’s a portion of my segment (as usual, CNBC doesn’t stream the various Daredevil clips that were shown during the segment; there are placed with a big CNBC logo in the streaming footage). 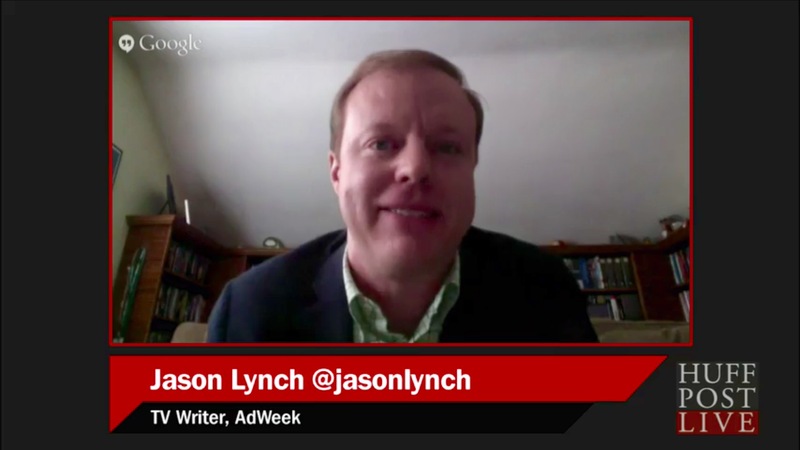 This entry was posted in Media Appearances, Squawk Alley and tagged Marvel, Marvel's Daredevil, Netflix on April 10, 2015 by Jason Lynch. As I mentioned, this story is far from over! 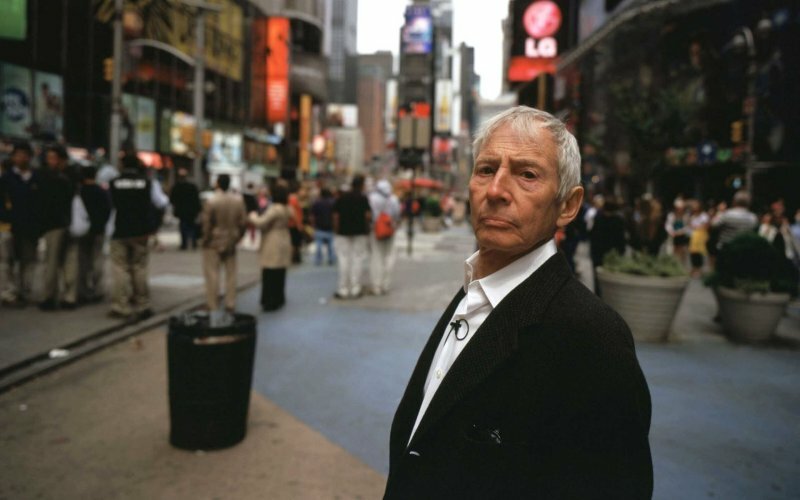 This entry was posted in Media Appearances, Radio and tagged Andrew Jarecki, Marc Smerling, Robert Durst, The Jinx on March 18, 2015 by Jason Lynch. 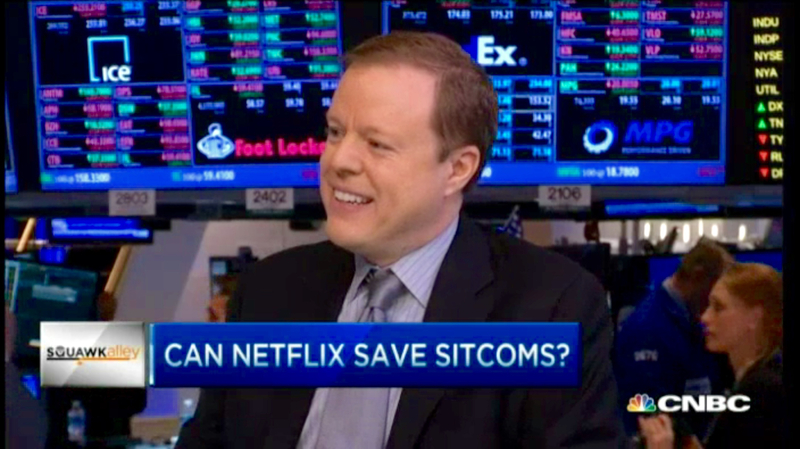 ‘Squawk Alley’: Can Netflix Save Sitcoms? 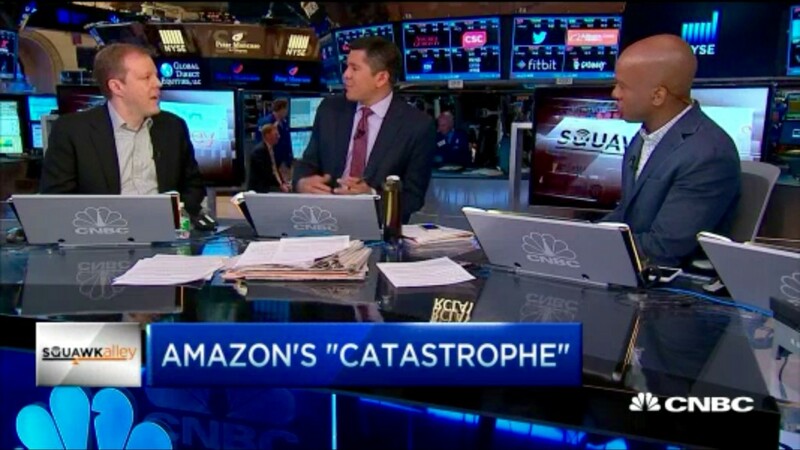 I returned to Squawk Alley — and the New York Stock Exchange — today to talk about yesterday’s Quartz story on how Netflix is saving sitcoms, starting with Unbreakable Kimmy Schmidt. I also was able to touch on my reporting for my Adweek cover story on the state of network comedies. 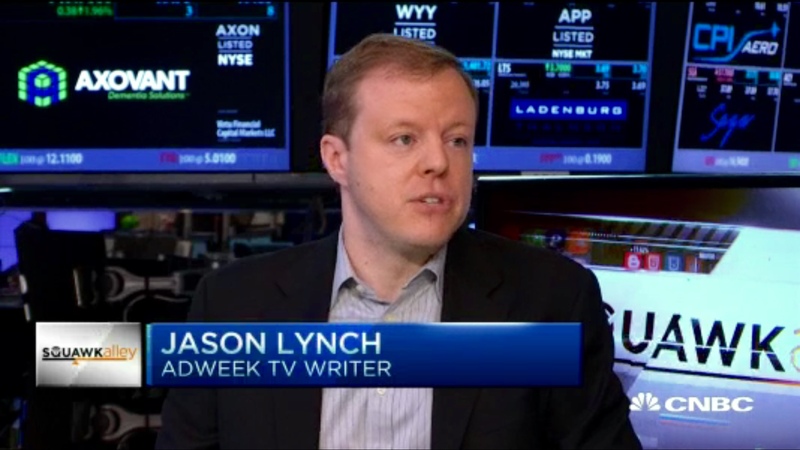 This entry was posted in Media Appearances, Squawk Alley and tagged NBC, Netflix, Robert Greenblatt, Unbreakable Kimmy Schmidt on March 6, 2015 by Jason Lynch.